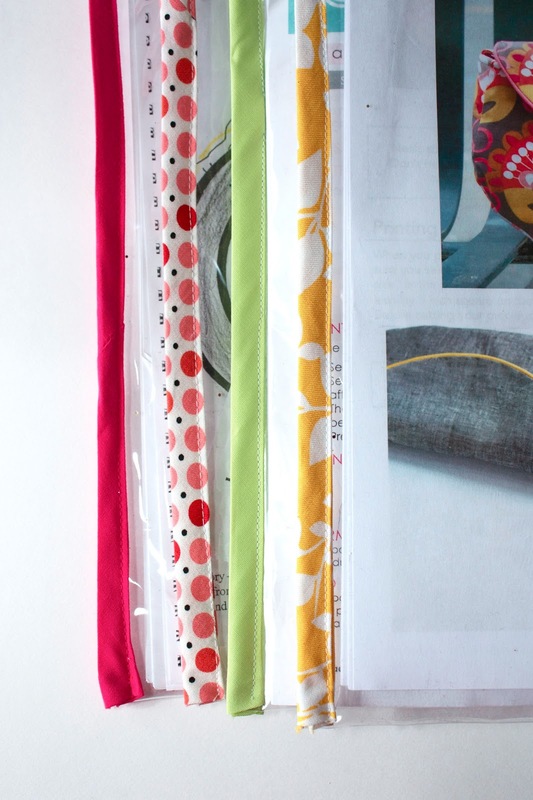 Now that there are all these amazing PDF patterns out there (shameless plug, I know), you're going to need a good way to store them and keep them organized. 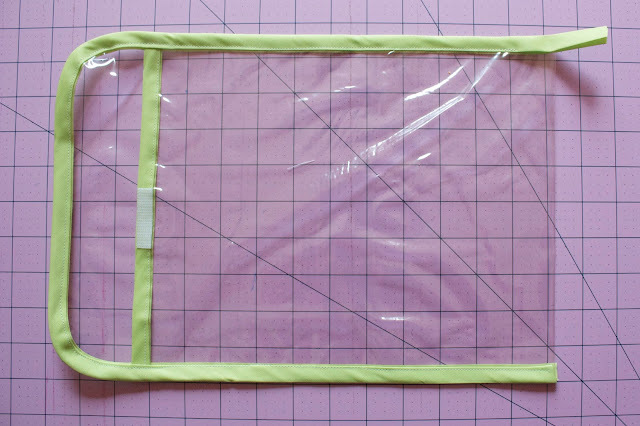 How about a simple, reusable pattern pouch. 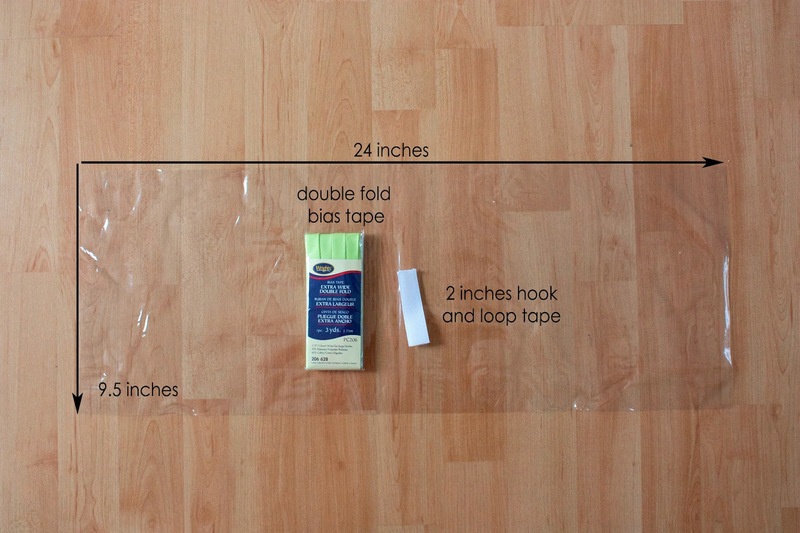 Measure 13 inches from one edge and fold the vinyl back. 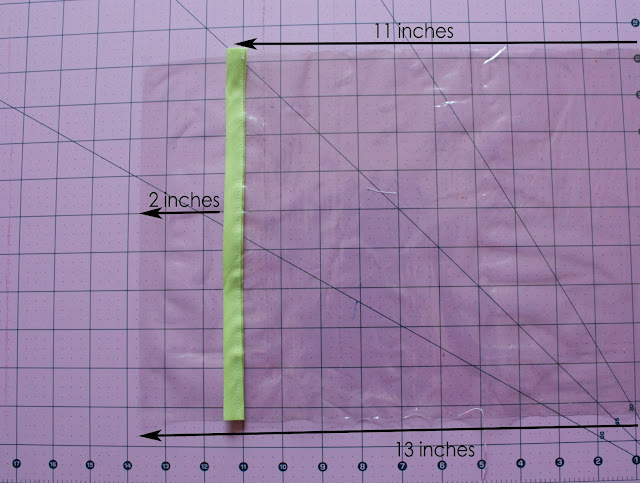 The top part should be 11 inches and the back should be 2 inches longer. 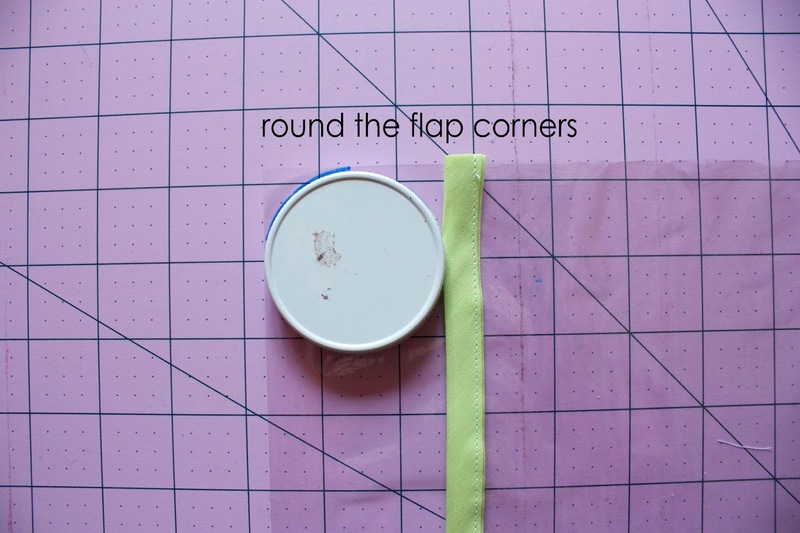 The 2 inch excess will be the flap. 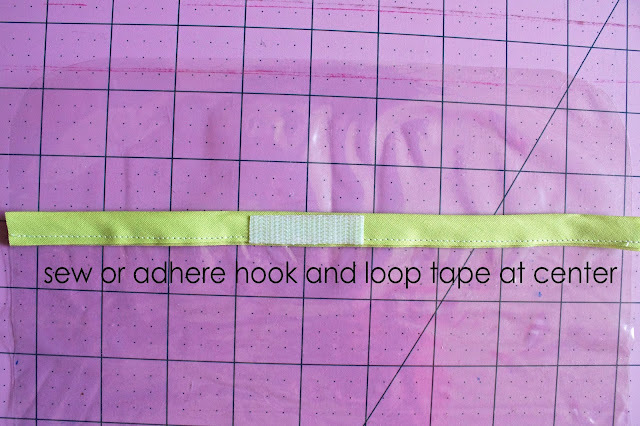 Sew the bias tape across the top of 11 inch side of the vinyl. At the center of the bias tape, sew or adhere a strip of hook and loop tape that's about 2 inches long and cut in half lengthwise. Take the remaining bias tape and fold one raw edge to the inside to finish it off. 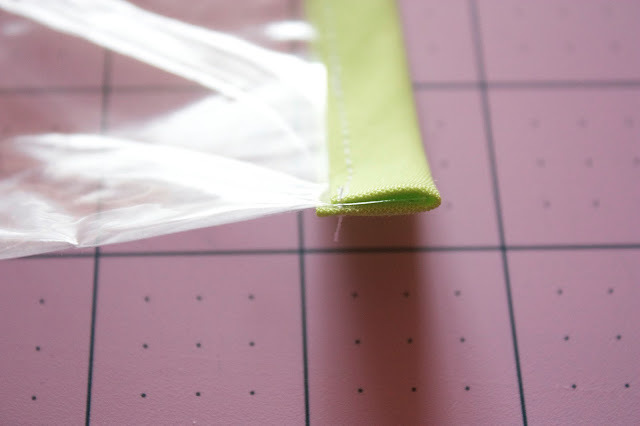 Starting at the bottom of one side enclose the vinyl in the bias tape and sew all the way around. 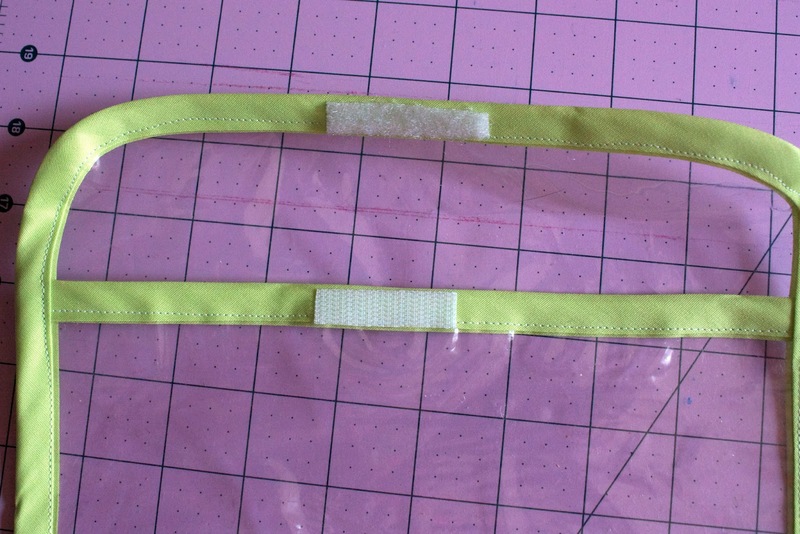 When you get to the other side stop about an inch short of the other end and cut off the bias tape leaving about a 1 inch tail (sorry if this is confusing, I didn't realize until I put this together that I flipped it over from the previous picture). 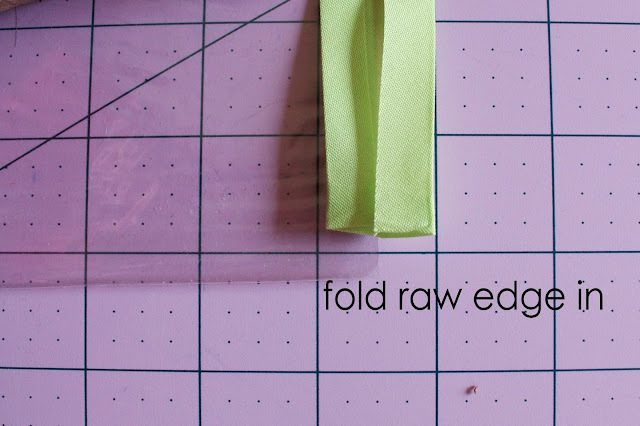 Fold the raw bias tape edge in like before, and finish the seam. Adhere or sew the other half of the hook and loop tape on the flap. All done! Fill it up with your favorite pattern! Not just for patterns either. Great for organizing school-work as well. I love this!! Where can I purchase the clear vinyl at?? they sell it at wal-mart. fabric center. with the vynal table cloth fabric. Sandy, I know you aren't close to where I am, but the hardware store where I work sells the clear vinyl. You can try any store that sells oil cloth for tablecloths bulk wise...maybe even a fabric or craft store. Thanks Claudia, I will check out my local hardware store! Love this pattern. It will go good with a lot of my granddaughters papers fro Day Care and a lot of my patterns that I have downloaded. 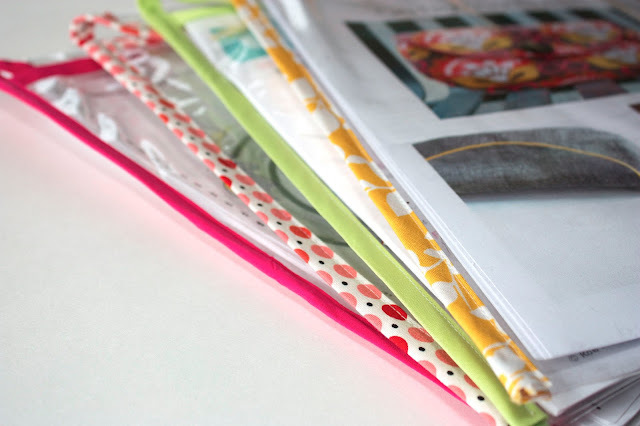 Much simpler then paper 3-ring notebooks. Thanks a bunch. 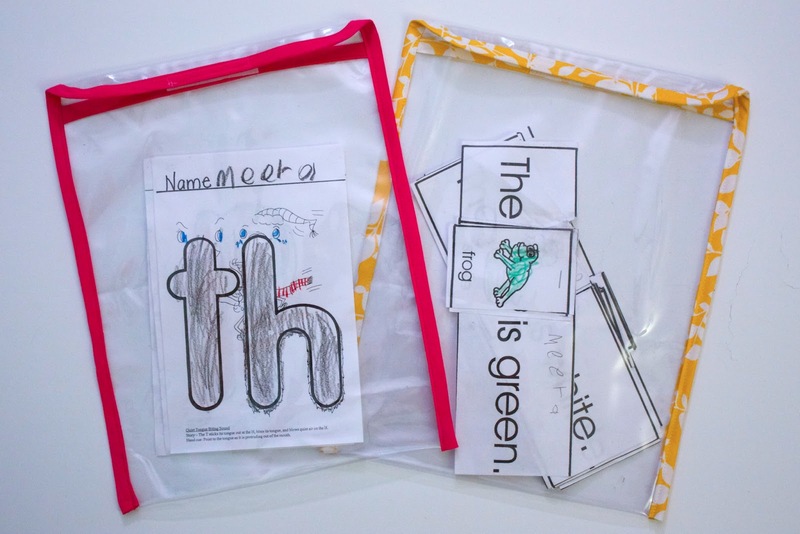 This is an awesome idea for puzzle pieces for my daughter. She can't fasten the zip-type plastic bags yet. 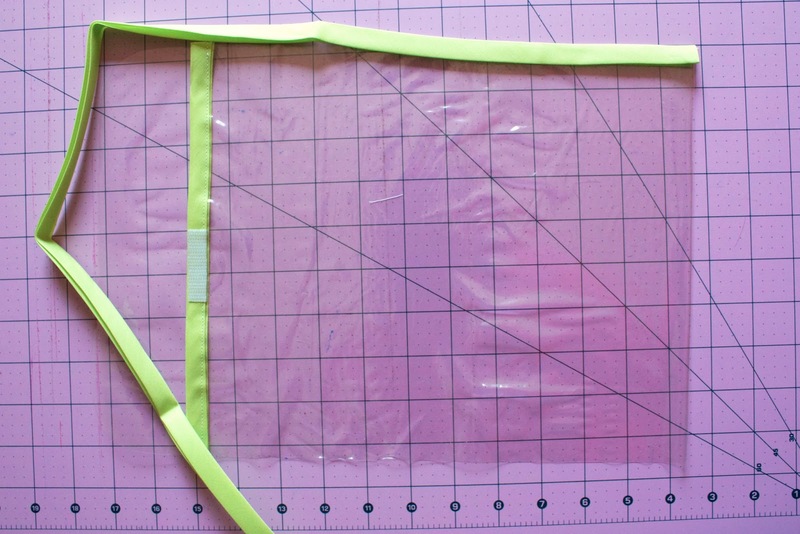 Now this I will be making as soon as I buy some bias tape in pretty colors. I already have some vinyl. Super idea. 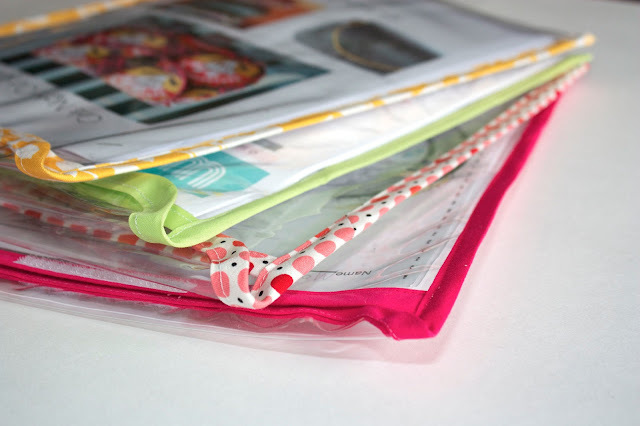 These would work to store so many (especially craft) items! Thanks for the tut. This is GREAT! Thank you for sharing this! I have tons of this vinyl...why didn't I think of this??? Great idea!!!! 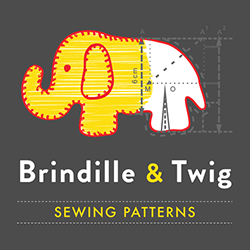 Now, that's downright cute and a wonderful idea - not only for patterns but for my grandkids artwork, etc. Such a great idea!! I had a brainstorm similar to this last year, but yours are a much better construction! 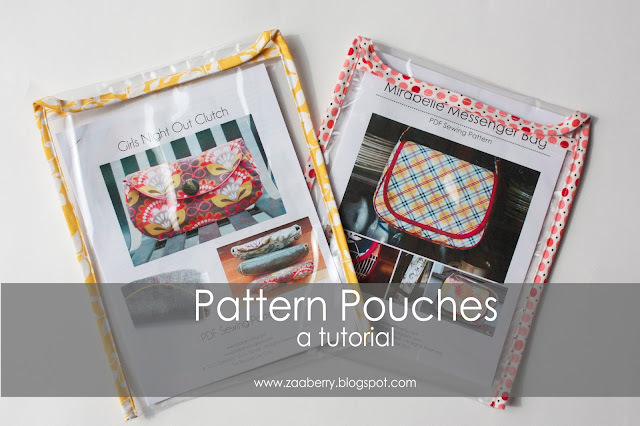 I will have to make some, prettier than the ziploc bags I use now! Nice work! What are the finished dimensions for the pouch?